This is a guest post by Teri and I’m really honoured to have it on Less-stuff. OK, so, this is long but it’s about something life-changing and I think it’s worth sharing. The context is that I have been 100% bed-confined for 25 years due to my condition of profoundly severe ME, since 1979. After enduring what I’d found to be intolerable noise from the upstairs flat for 8 years, it was sold, in September 2001, to developers. Their planning proposal was to increase the occupancy from 2/3 to 6 persons. For months, I used all my energy to challenge the proposal, on the grounds of overdevelopment, and had the largest petition of neighbour support that the council had ever received. To no avail. I lived under, and surrounded by, a building site every single day until the Easter weekend, when I thought the work had ended, but it soon resumed early on the Monday morning. This carried on for a whole year until six students moved in the following September. One person would stay up until 3.00am every night, entertaining friends, then cook a meal, frequently setting off the smoke alarm. Another rose at 6.00am every day to go to the gym. There might occasionally be an hour’s silence, but as I never knew how long it would last, the shock of interrupted meditation or attempts to sleep was too damaging. It was truly 24-hour living. I’d realised on the first day, when they were playing golf on laminated flooring, that I must sell up and move. It took another year of almost total sleep deprivation and organising viewings with me in the bed throughout, before it was possible to start packing. By this time I was in no fit state to undergo the house-move, so my strategy was: “Please just pack everything, I’ll sort it when I get there”. I downsized from 6 rooms to 3 in order to have a bungalow. No fear of anyone upstairs! 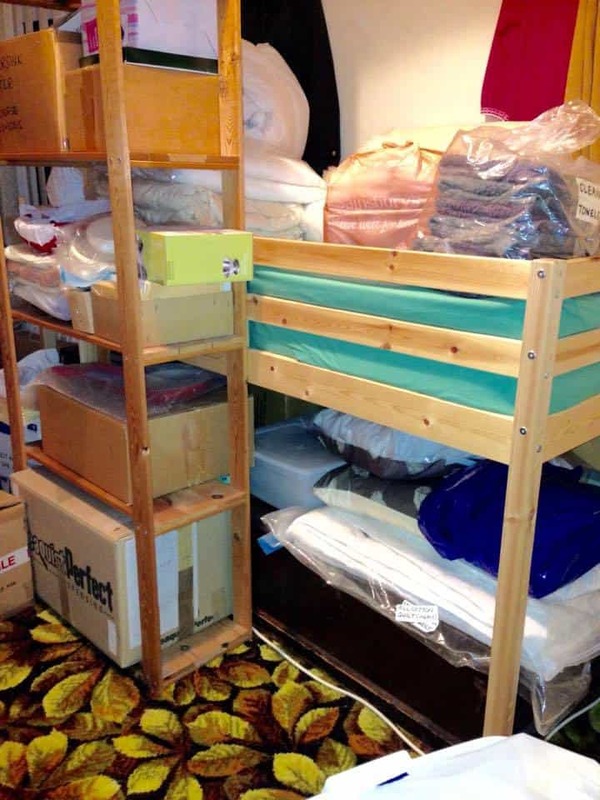 With me in one room and my 24-hour support workers sleeping in the second room, all of my furniture and possessions had to be stacked, wall-to-wall, into the only remaining room. 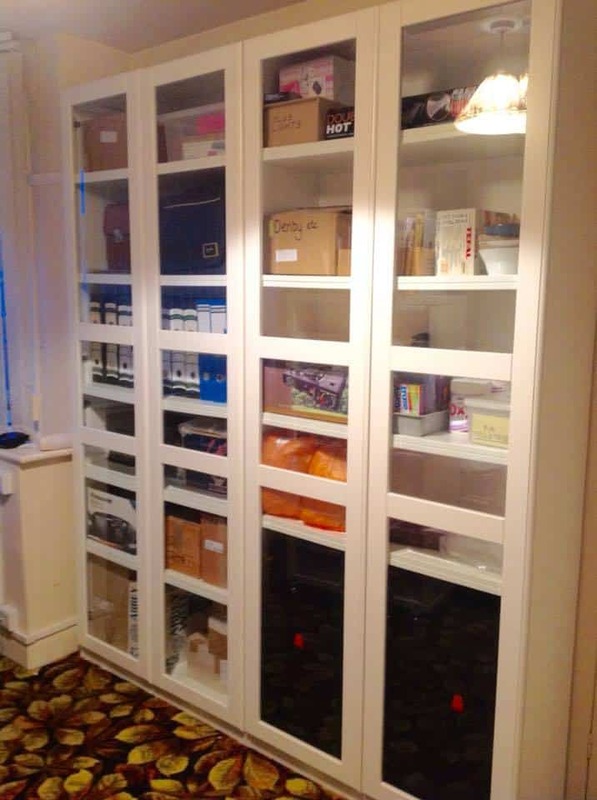 If you are downsizing by choice, and have an adequate timescale, I would definitely recommend letting go of items which belong to your ‘old’ life before you move house. Arriving at a smaller residence with everything I owned for furnishing and living in double the space, was overwhelming. It made it impossible to start organising my new home. I couldn’t carry on living here in this way any longer. Finding a way to start has been the life-changer/ saver. It took me 5 years just to get over the move itself. And here I have been, for the past 15 years, unable to achieve a ‘baseline’ and unable to find precious morsels of mental energy to make even tiny decisions, or organise anything at all. Then, in April of this year, something ‘clicked’. Perhaps this might help other people to make a start? I’d been too ill to celebrate or even acknowledge many of my birthdays and Christmases. So, I had bundles of greetings cards all over the house going back to 1988 . . .
After 3 months of giving away, recycling, sending to thrift shops and just leaving things labelled “Please take” by my gate, we are done! The room is now kitted out in fresh (IKEA of course) cupboards. Things which logically ‘belong together’ are now together and only what is used regularly is left. You can see just a quarter of the room in the fourth picture and there’s real enough space in the middle to twirl like Maria in the Sound of Music. Of course, I’ve only seen pictures on people’s phones and I have a burning desire to go and stand in the space. But, as I have never stood anywhere in this house, in fact I’ve never even seen any of the rooms, I’m sure that will pass eventually. It has been costly to my health to achieve this, but after I recover, life will be lighter, simpler and less cluttered in so many ways! What I’m celebrating today is the shift from not being able to throw away anything at all due to being in an almost coma-like state for 15 years, to being ‘driven’ and unable not to! 15 years of dust, thick enough to insulate a loft, cobwebs and the beginnings of mould are all gone. My support workers are able to walk directly to a cupboard and immediately retrieve whatever is required without the use of crampons and bungee ropes to ensure a safe return. I love it ! ! ! Somebody had advised considering not trying to recoup money by selling things – on eBay, for example. I had a really expensive silk and cotton specialist quilt. It had cost about £150, was brand-new and in a special package and I felt I should try to sell it. Not only was it taking up quite a large area, but it was blocking me from decluttering. I gave myself the gift of letting it go and gave it away to someone. With that at the back of my mind, I was somehow released from years of being unable to let things go. I think it’s interesting that one small held-attitude can leave you ‘frozen’ and one small change of behaviour can started things flowing beautifully. I’m so grateful to whoever it was who said this. I’d love to find their comment again! 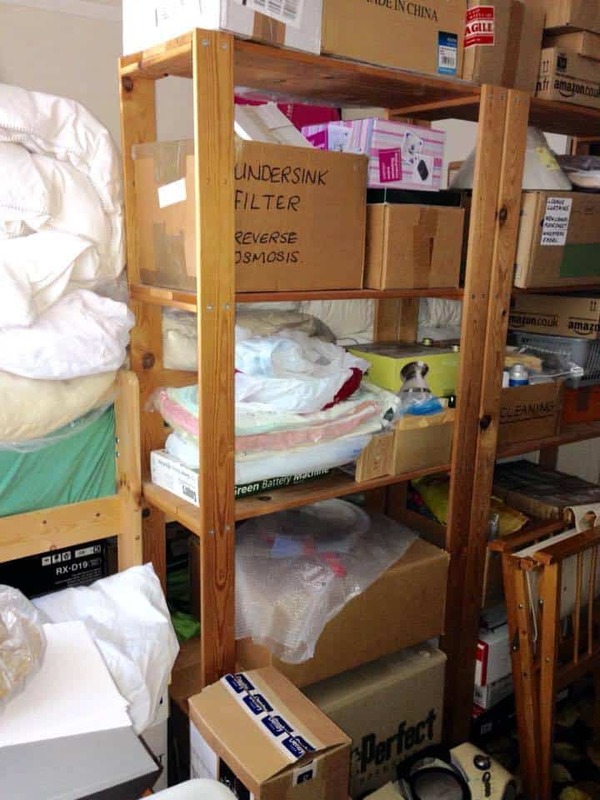 Once your decluttering has taken off you might decide to rationalise a drawer or, for example, a kitchen cupboard. First of all, I empty the space completely, freshen it up in some way, e.g. re-line a drawer or cupboard with new paper, then only put back what will function, and what I want to see, into that space. If I’m clinging to something and finding it hard to let go of (i.e I do want to let go but it hurts), I leave it for a week or more until the ‘sting’ goes out of it. When I look a second time, I find feelings have changed. 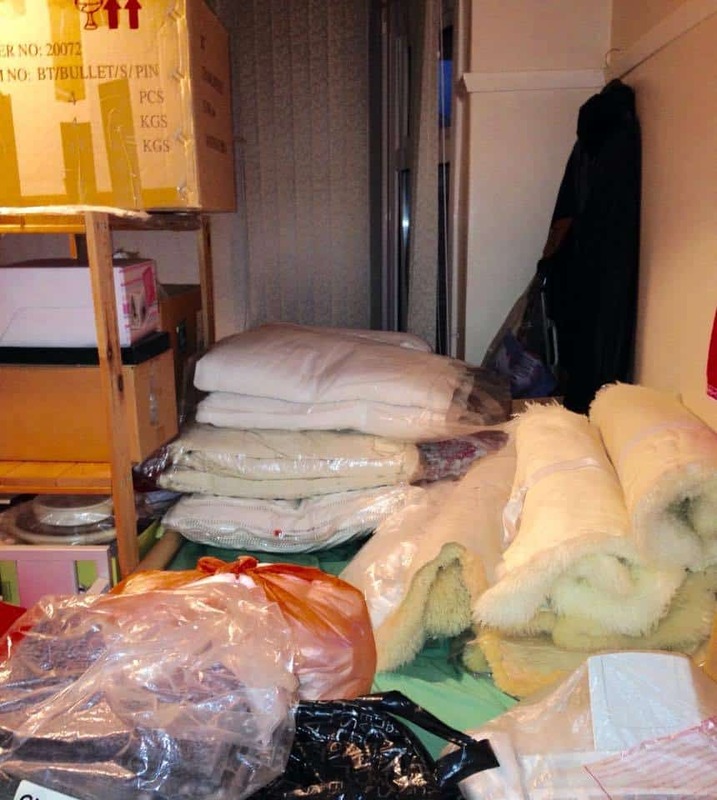 A good ploy is to put things that you need to get rid of by the main exit from your home. You see them repeatedly. They lose their power. Eventually, when you’re sick of stumbling past them, you just “want rid of them”! (Of course this one only works if you are mobile and can leave your home, so I’m talking ancient history, personally, here). I’m happy. Actually, I’m really, really happy, and I just wanted to share it. August 8th is Severe ME Remembrance and Understanding Day. 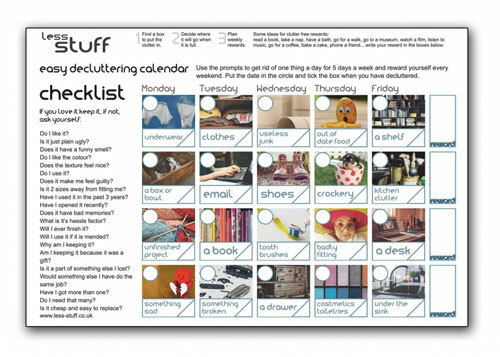 If you want to start decluttering but have no idea where to start, you can get a free calendar as a thank you for joining the less-stuff tribe.